Wargaming is pleased to announce that starting tomorrow, World of Warships: Legends will be available on console Early Access as a free download on PlayStation 4 and Xbox One. 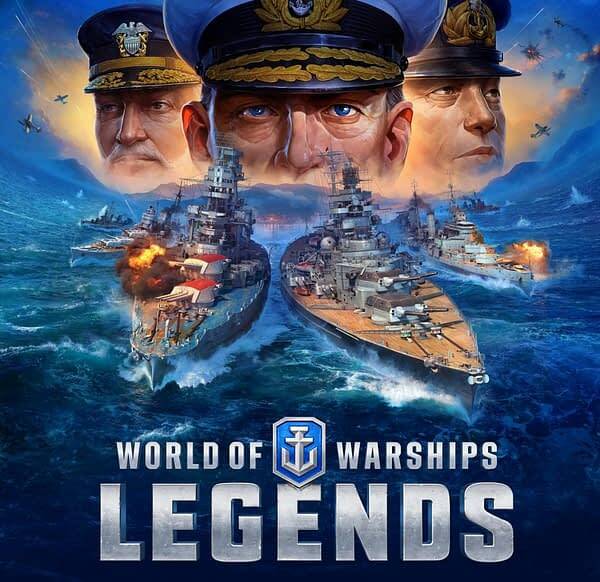 Wargaming St. Petersburg is bringing the epic online naval combat MMO to consoles for the first time with World of Warships: Legends, which is much like World of Tanks: Mercenaries, but, you know, in the ocean. The game supports English, Russian, Japanese, French, and German localizations and will launch with a host of ships, legendary commanders, and entire oceans for players to conquer. Early Access players on PlayStation and Xbox will get access to the game’s epic naval battles and over 20 historical commanders, and over 50 legendary ships of all classes: destroyers, cruisers, and battleships. The early access release will include 15 different maps and full 4K support for PlayStation 4 Pro and Xbox One X later this summer. World of Warships: Legends has been built from the ground up to take full advantage of the power and capabilities of the current generation of gaming consoles. With faster and more exhilarating combat, more options to develop your commanders, a revamped user interface, intuitive new controls, and console-exclusive content, Legends is a wholly new experience on PlayStation 4 and Xbox One. World of Warships: Legends is available to download from the PlayStation and Microsoft stores starting April 16, 2019. You can check out the console early access launch video below.